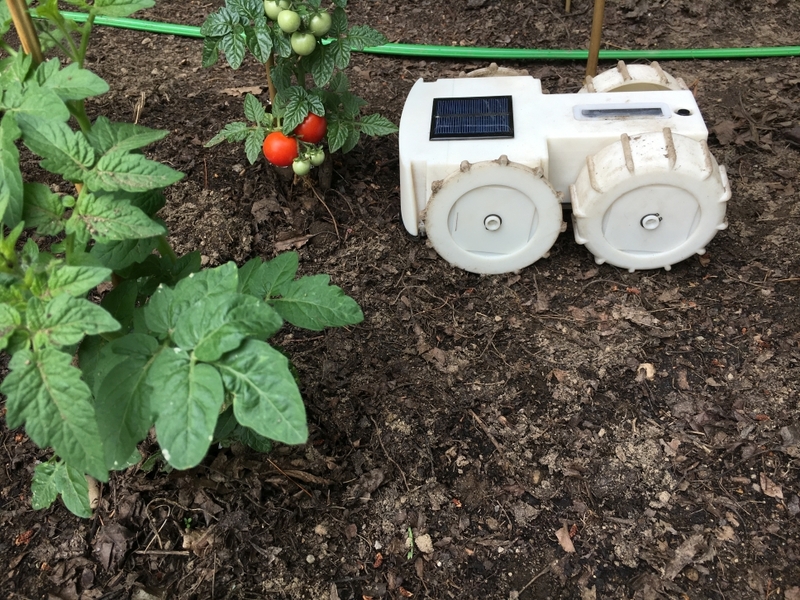 Developed by Franklin Robotics, “Tertill” is a 100% solar-powered robot that lives in home gardens and weeds every day, rain or shine. The first wave of robots will be available this summer after Tertill’s crowdfunding campaign begins June 13. Upcoming Tertill models will be engineered with the ability to detect and repel pests, and relay info back to your smartphone as needed. Tertill maintains your garden by using its artificial intelligence to determine the best times to sniff out new weeds. The bot regularly whacks newly sprouted weeds with its string trimmer and scrubs out emerging cotyledons with its wheels. Tertill’s mission is to eliminate the need for chemical weed treatments in the garden, while also offering a sustainable, 100% renewable solution for managing weeds. Tertill takes advantage of the energy that it can gather from the sun in the most efficient way possible, and so it works hard to maximize the area that it covers each day. To keep weeds at bay it only needs to return to the same spot in the garden every few days. And since Tertill is fueled by the same solar energy that weeds are, it can patrol less often on cloudy days because the weeds are also less actively growing. Joe Jones, the developer of Tertill, and his team’s experience gardening (and struggling to get a good yield!) 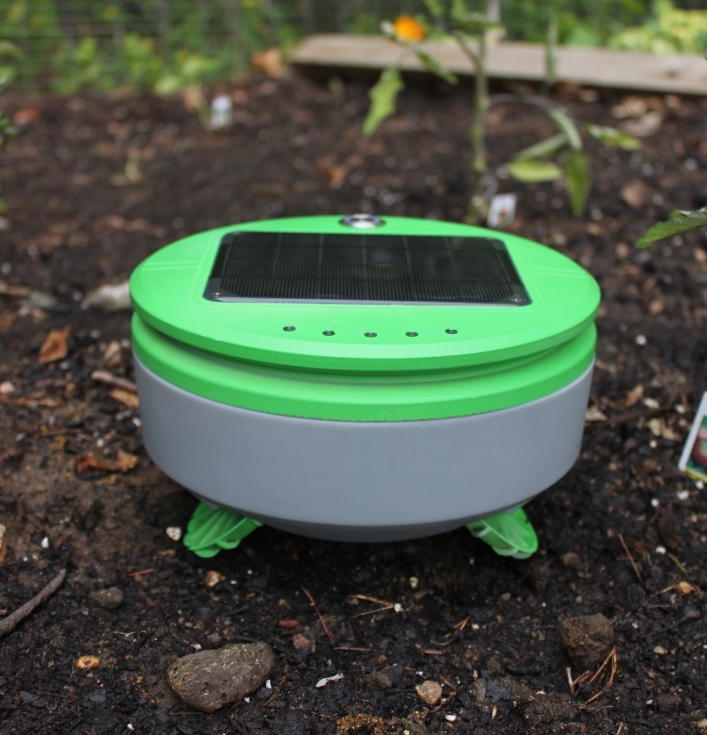 has shown them what a truly effective garden robot needs to provide. Beyond just weeding, future Tertill models will also include natural pest-repellent features to scare away rodents. Think of Tertill like a mobile scarecrow, except roughly the size of a frisbee. These future Tertill models will also be able to collect data and analyze the soil quality, nutrients, and health, and send alerts back to the user with any important garden info. Franklin Robotics’ crowdsources fundraiser will be starting June 13. If you’d like to learn more, head to FranklinRobotics.com, and if you sign up for their newsletter, [http://www.franklinrobotics.com/slugtaze-download] you’ll receive a free download of Slugtaze, the 3D-printable slug-repellent collar.